Want a jelly-like cranberry sauce recipe with NO CORNSTARCH, NO PRESSURE COOKER or ANY kind of thickener? 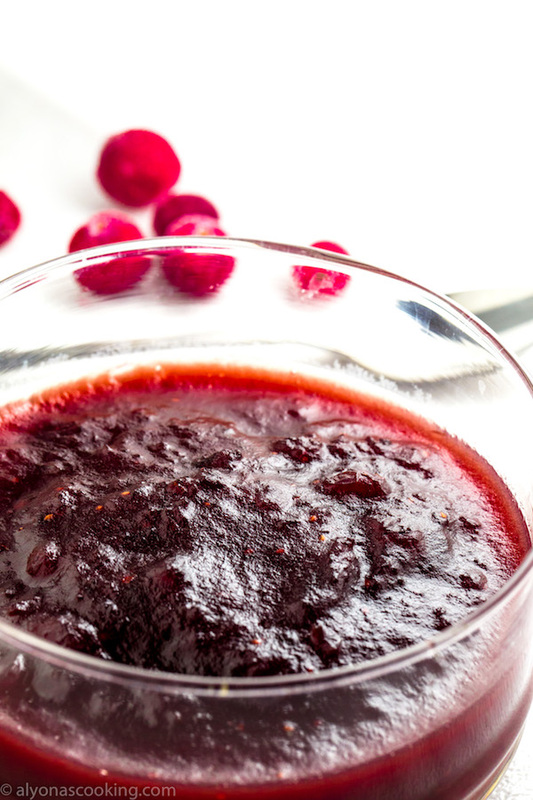 Here’s the natural way to make some Restaurant style cranberry sauce that can be made in as quick as 5 MINUTES! I just love this recipe! 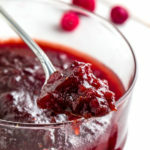 I’ve made this cranberry sauce recipe numerous times by now and absolutely love this recipe for jellied cranberry sauce. It can be made any time of year because it calls for Craisins, (dried cranberries.) 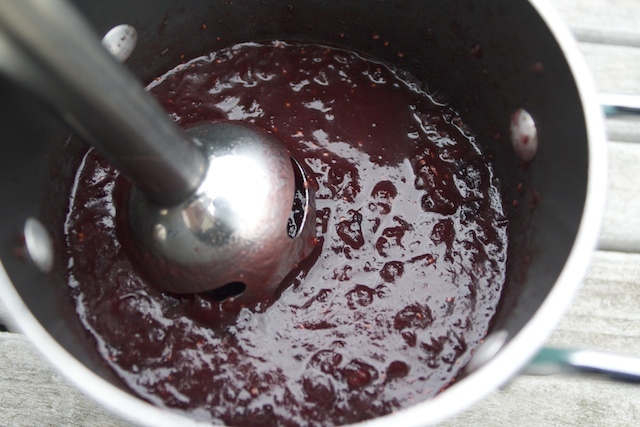 This cooking method will naturally thicken your dried berries with no pressure cooker or thickeners! All you need is less than 10 minutes of your time to achieve this amazing jellied-like cranberry sauce. If you’ve ever had Ninety-Nine’s cranberry sauce (from their country fried chicken dish) then you have yet to try this replica. A total must make cranberry sauce recipe even if you’re not familiar with theirs — still a fabulous recipe to try and it’s HOMEMADE! 1.) 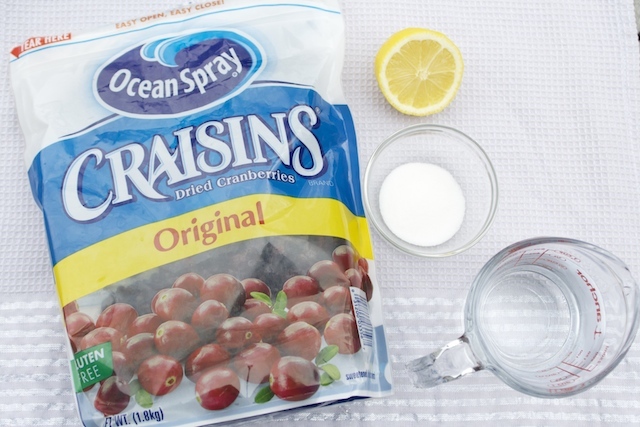 In a small saucepan bring the dried cranberries, sugar, lemon juice and water to a rapid boil. Cover and boil over high heat for 3 minutes. 2.) Remove from heat and quickly pulse a few times using a hand blender. 3.) Place back on the heat, covered for an additional minute or two. 4.) Transfer to a dish and cool. Keep refrigerated. 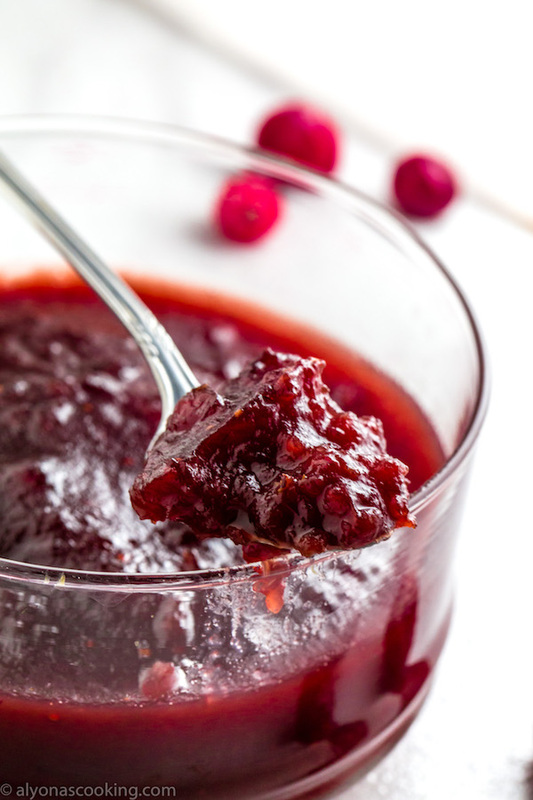 Want a jelly-like cranberry sauce recipe with NO CORNSTARCH, NO PRESSURE COOKER or ANY kind of thickener? Here's the natural way to make some Restaurant style cranberry sauce that can be made in as quick as 5 MINUTES! I just love this recipe! 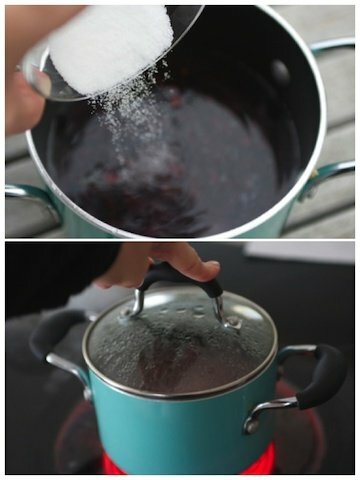 In a small saucepan bring the dried cranberries, sugar, lemon juice and water to a rapid boil. Cover and boil over high heat for 3 minutes. Remove from heat and quickly pulse a few times using a hand blender. Place back on the heat, covered for an additional minute or two. Transfer to a dish and cool. Keep refrigerated. This recipe sounds simple and straightforward. I was just wondering if it’s necessary to blend the mixture? I don’t have an immersion blender and wasn’t sure if blending is necessary for this to thicken? Thanks! Thank you Sharon, I do think blending the craisins helps get that jelly consistency. If you have a stand blender, try blending half of the mixture in there then bring it back to the pot to simmer slightly… Let me know if you ever get to try. I just made this cranberry sauce recently to country fried chicken, mashed potatoes and sweet corn (so yummy) its my favorite recipe for cranberry sauce!